This page is for my models that have been reskinned/modified to replicate none standard preserved locomotives & liveries. 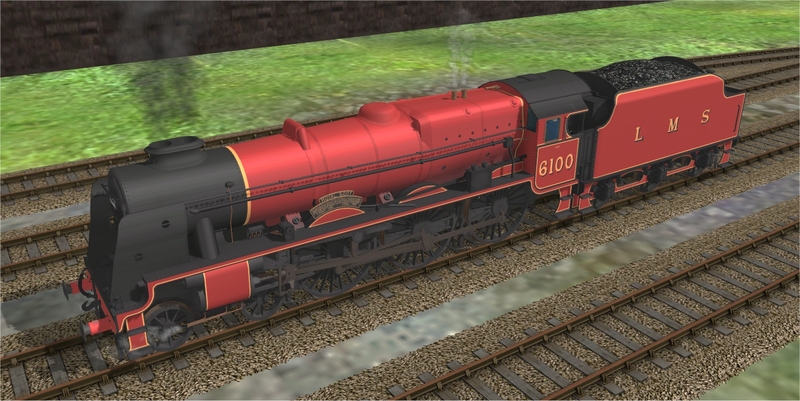 45690 is as preserved except my model should have nameplates with a red background but I am unable to alter the mesh to change this. 45699 is as running currently in a none standard version of BR Red with LMS lining (BR16A). No Jubilees were ever painted red by BR. 46100 is in a fictitious livery for Rebuilt Scots. A customer asked me to do this livery. I’m not sure that 46100 has ever carried this livery, even in preservation. 6100 has carried various versions of LMS crimson lake in preservation but never ran in this condition for the LMS. It wasn’t rebuilt until after Nationalisation. I may add a few more liveries to this collection in the near future. My next planned re-skin is Princess Margaret Rose in BR lined red.